On one level, Looking for Alice is an illustration of family life, says Sian Davey, with �all the tensions, joys, ups and downs that go with the territory�. But on another, this photography series�challenges perceptions of difference, because it focuses on�images of her youngest daughter, who was born with Down�s syndrome. �The photographs explore the entwined narratives of my relationship with my daughter, and society�s prevailing attitudes towards people with Down�s syndrome,� she says. A trained psychotherapist, Davey speaks openly about her feelings � from her �deep shock� when her Alice was born, to the gradual acceptance that allowed her to �fall in love with my daughter�. 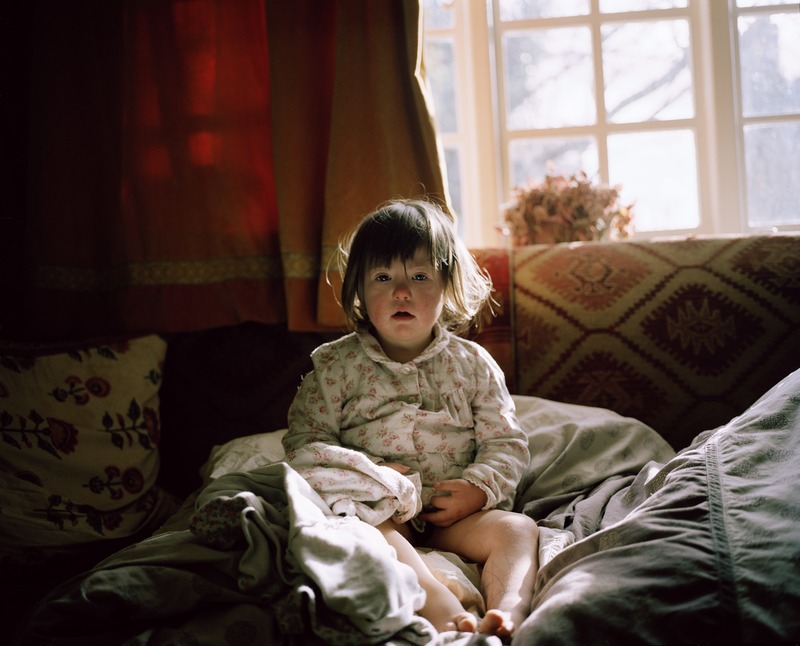 In Davey�s photographs, we see Alice smile, cry and play as every child does; she is, as the photographer points out, �no different to any other human being�. �I wonder how it might be for Alice to be valued without distinction, without exception and without second glance,� she writes. Davye is currently studying for an MA in Photography with tutors Jem Southam and David Chandler at Plymouth University, and one of the images in Looking for Alice was selected for the 2014 Taylor Wessing Photographic Portrait Prize exhibition. Photography is �seamless to the rest of my life�, she says. �The camera has turned onto my stepdaughter Martha as I think about my relationship with my own mother. See more of Sian�s work here.